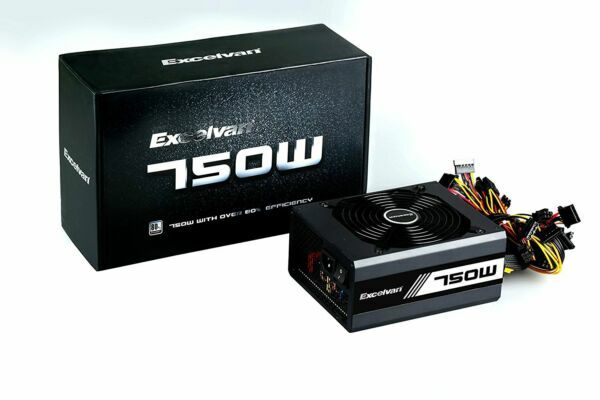 Excelvan 750W Switching Power Supply supports all Intel and AMD systems. Double 6+P6+2PIN meet the needs of high-end double video card jack. In addition, this power supply owns the ability to avoid lightning stroke. Furthermore, it also has low-noise that the noise is less than 26dB under 100% loading, which bring convenience to you. What’s more, active PFC line allows to have the capacity of anti-jamming and active PFC broadband Design supports input of large voltage. Last but not least, this product is Equipped with NTC thermistor to prevent short circuits from happening or other problems of parts burned. Payment: PayPal Only. Please pay within 48 hours or the items will be relisted. Sales tax will be charged where applicable. If you require an invoice/packing slip, please let us know at the time of purchase.